After stripping an brightening do you recommend sanding? There are raised wood fibers. also the stripper and brightener came from Sherwin Williams. Will this effect the final outcome? It shouldn't. Lightly sand or buff the floor to remove raised wood fibers with 60 grit paper if needed. 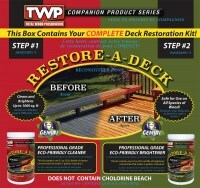 I stained my deck 3-4 years ago with TWP 350 max voc formula. Part of the deck is under roof and has not weathered as much as the parts that are exposed. 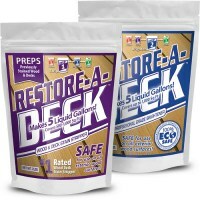 I live in Pennsylvania so I'm not sure what formula to use or how deck should be prepared. I would like to re-stain with the same color #1530 natural. It will be very easy. I stained some patio furniture, how long before it will be safe it sit on without color coming off on clothes? I put 2 coats on the horizontal surfaces, in 70 degree weather. After cleaning and pressure washing, allowing that the dry 3 days. A few days and it should be okay but test first. Could take as long as a week. i have a deck that is stained with a solid water base stain( 3 years ago) so if i strip it power wash it and put wood brightener on iy will i be able to use TWP 1500 oil stain on it once it dries completely. You cannot strip off a solid stain. You will need to remove by sanding this off. Once removed, use the Gemini Restore Kit for the final prep. Follow-up from Phil, 6/17/18. I live in central North Carolina, near Greensboro. BTW, thanks for the prompt reply, especially on a Sunday. Use the TWP 100 Series. NP! Have a 4-year old deck of 2X6 treated pine. Have stripped (Cabot semi) and brightened with Restore-a-Deck. What is the difference between your Series 1500 vs. 100? Which do you recommend? Also would I gain significantly from the extra process of sanding? Sanding is not needed and can create issues with absorption. As for which type, that depends on where you live? Does 1500 series prevent damage by carpenter bees? My deck includes (pressure treated southern pine) built-in benches. Some stains from other manufacturers specify "not for sitting surfaces or furniture". (I assume this is because clothing may get stained). Are any of your oil-based stains suitable for sitting surfaces? Yes. 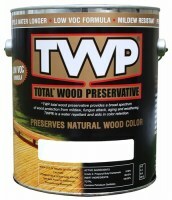 TWP is a full curing stain so it does not rub off. I just put new Pressure-Treated on my deck, its been at least 9 months exposed and ready I'm ready to stain it, looking for the most natural look as it like the contrast between the black square spindles and the light current color of the wood. Is the natural or the honey the lightest color? Honeytone is the lightest color. I live in Illinois and wanted to see a sample, where could I find one? 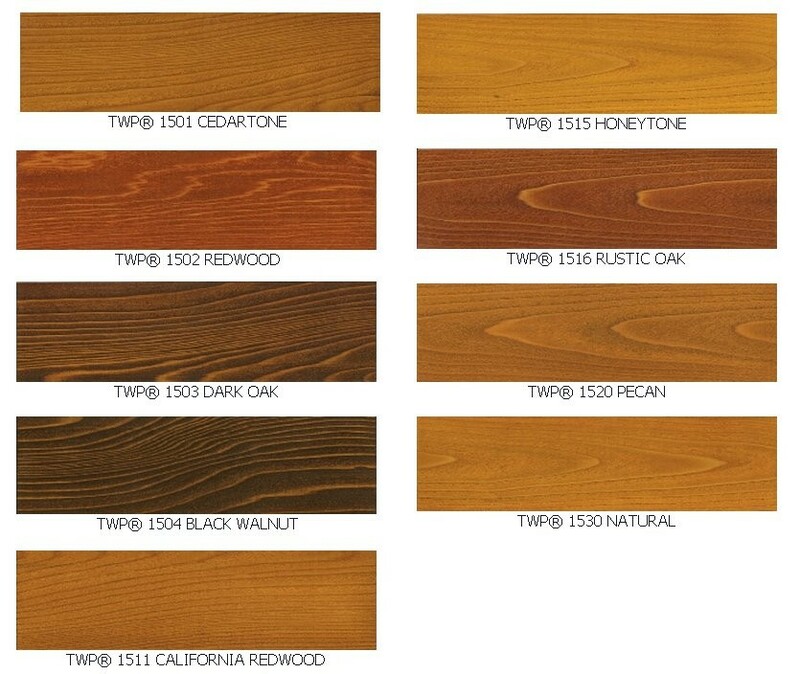 Cape Cod is only available in the TWP 100 series. Would Smith Contractor 190216 2-Gallon Sprayer be good enough to spray TWP 1500? Clogging has nothing to do with the actual sprayer but the material going through it. If the Stain or Cleaner is mixed properly with a smooth consistency, then you will not clog the sprayer. Hello, we just built a new home in Central Missouri. We have used cedar beams on the exterior and would like to preserve the existing fresh cedar color. What would be the best product for sealing and longevity? Also we have a lake house that has oak logs and never been sealed. 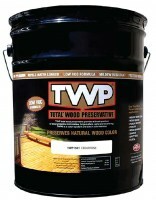 We would wand just a clear wood preservative on the logs. 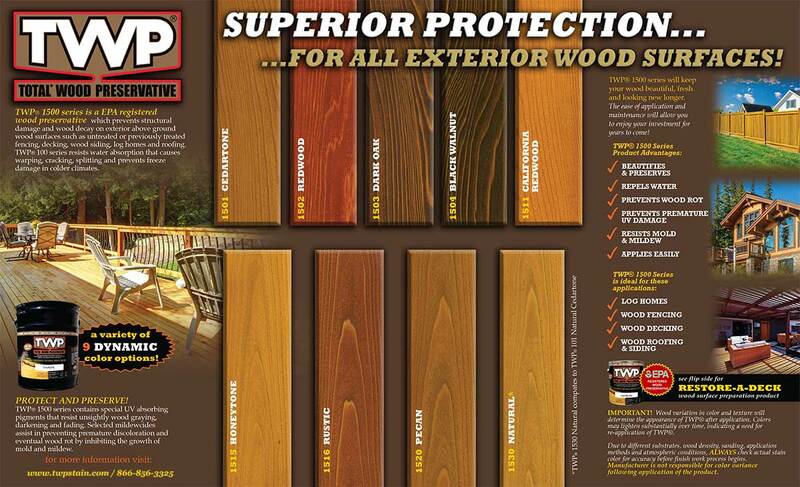 "Clear" = zero UV protection with wood stains from graying. Do you want it to gray naturally? If not, you must use a stain and that will enhance the wood grain. You can see the color choices above. OK, clear on the Oak Logs. I do not want the new Cedar to gray, so a stain. So I am assuming the 1500. Correct? Will I be able to re apply the same product (s) down the road if needed without major prep work? Yes on the 1500 Series. For reapplication, just clean and recoat. WOW, I love this service! Thank you very much! I would like to apply stain to external posts and beams that are Doug Fir surrounds over structural posts. They were originally stained by the contractor with a stain that wasn't appropriate (Briwax). The posts and beams are in various states of still fully stained (those without sun exposure) to bleached white. 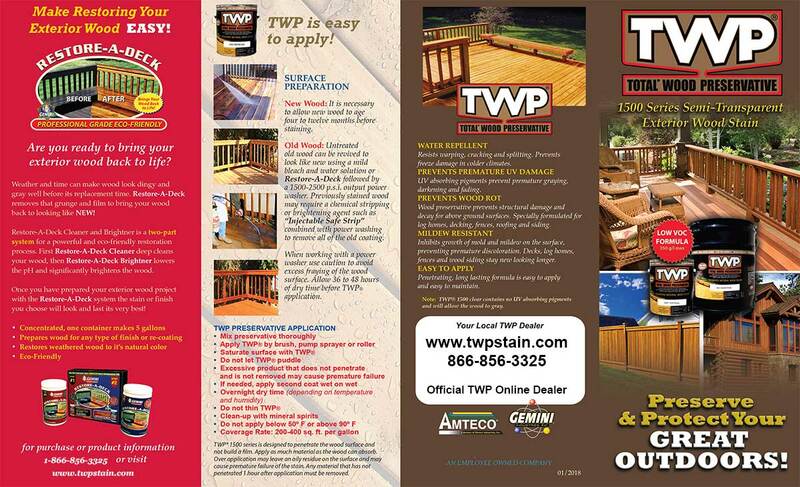 From what I've read, TWP 1500 is the right stain product. What products/process should I use to prep the ones that are bleached white vs. the ones that still have some stain on them. Also, can you please direct me to the page that has coverage information. I live in the San Francisco Bay area so don't have cold winter issues. Thanks. Hello, the TWP cannot be applied over either so it will need to be removed. Power sanding may be the way to go. Once all of the current stain and coatings are removed, you can use the TWP. Coverage is 150-200 sq feet per gallon. I have stained a pavilion beams and headers, with twp 106. Can I go over that with a TWP 1500? I see someone previously asked the reverse version of this question. No, you cannot. The 106 will need to be removed first. can this be used on pressure treated 2x6 planks on trailer floor? trailer is new but has been exposed to weather (Arizona) for a year. 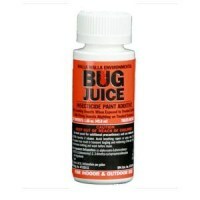 Not concerned with appearance but want max preservative for wood. We have just finished an Alaskan yellow cedar deck with redwood trim. Our first question is do we try to get it sealed now before Montana winter sets in or do we wait and let the wood cure? Also, do we do the underneath boards or leave them untreated? We want to enjoy the beautiful light wood of the yellow cedar but obviously cannot use the clear with no UV (it is a south facing deck). The natural looks quite dark on the monitor. Is it? Curious if I can use TWP on my raised garden beds made from doug fir to help preserve the wood to last longer. Are there any toxins in TWP that could leach into my veggie boxes? Once fully cured, there are no issues. I have a deck that was stained in 2015 with TP1502 redwood stain. The railings are still in great shape. So am only going to do the top-board for the railings and the deck boards. Thinking I want to goto the 100 series redwood 102. Any concerns with them not matching color-wise? The 102 and 1502 are not the exact same color. In addition, if you want to switch to the 102, you will need to remove the 1502 first.